Nuestra Parroquia de la Divina Misericordia? – La Quinceañera y sus padres deberán asistir a un Taller Especial de 9 sesiones y asistir a un retiro. 9:00am – 12:30pm and 1:30pm to 5:00pm. Office closes for lunch at 12:30pm. Support Divine Mercy Parish by Shopping at AmazonSmile. When you shop at AmazonSmile, Amazon will donate to Divine Mercy Parish. Support us every time you shop. The Bulletin is in Adobe PDF Format. In order to read the PDF format, you must have “Adobe Reader on your computer. Click on get adobe reader logo to download it for free. The Internet is another channel for Evangelization. It is a ministry bringing the Good News into every home in our parish and throughout the world. Here you will have access to our weekly bulletin, meeting schedules, ministry groups and other Catholic resources of major importance. 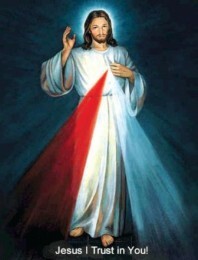 Members of the Divine Mercy Parish wanting to publish documents, photos or videos of your ministry groups, please e-mail them to info@divinemercyparishvld.com or drop them off at the rectory. Thank you.